Hi crafters! 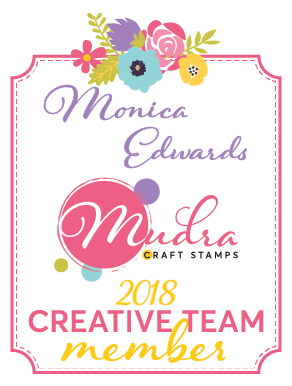 Today is my first official post as a CustCardstcok design team member and I am so pleased to be apart of this amazing team! For my first project I have created a Fall Wall plaque to showcase our Pop Tone Hot Fudge 65lb Card Stock and Stardream Metallic Flame (orange) papers. 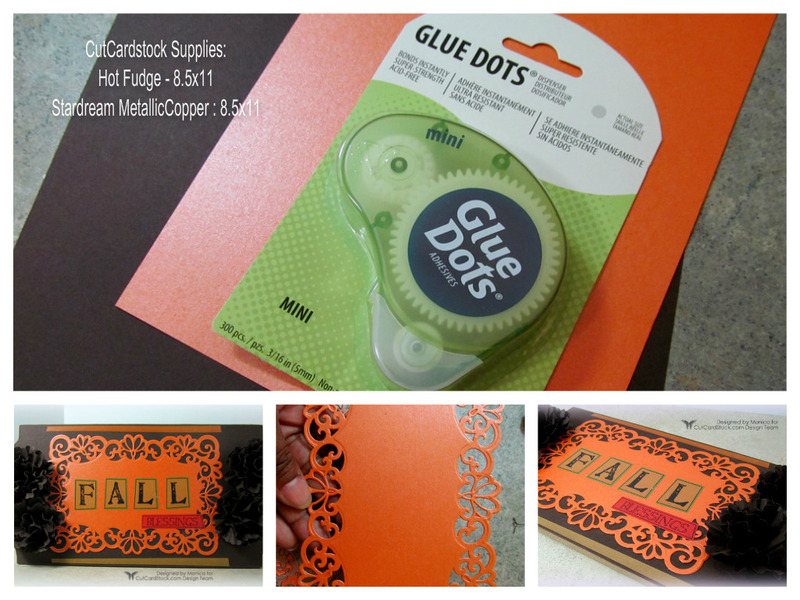 To adhere it all together I used our Glue Dots Mini Dot n Go Adhesive . I chose a die from Spellbinders to use as a mat piece for the plaque. Then I used a sticker sheet from SRM stickers to create the sentiment on my plaque. Now take some tweezers to hold each petal and just twist it. 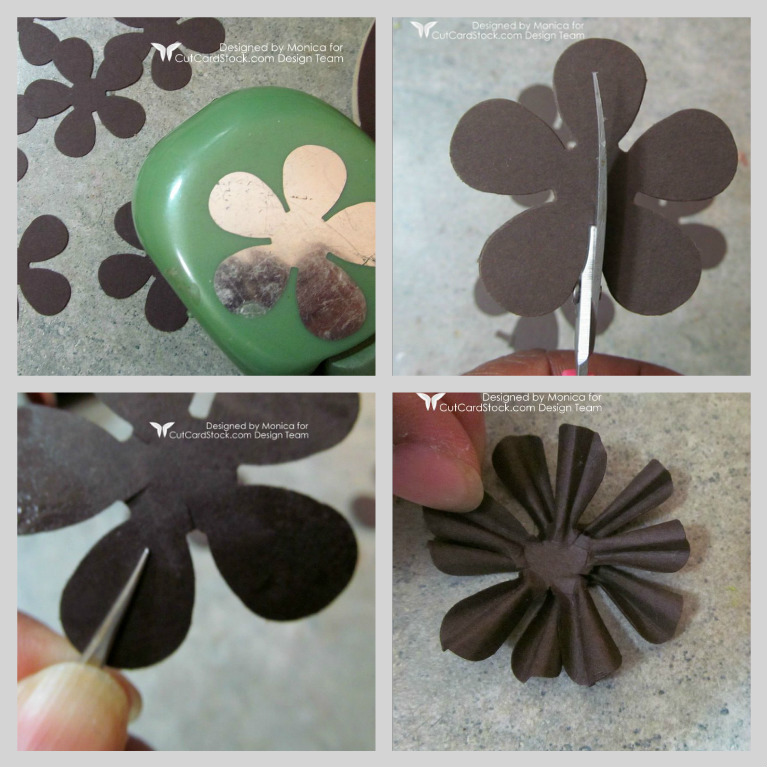 Once this is done layer each flower by staggering each piece. I created a total of 4 flowers to put 2 on each side of the plaque. Below is a different angle of the completed wall plaque. I hope everyone has enjoyed my first post and thanks so much for stopping by everyone!! 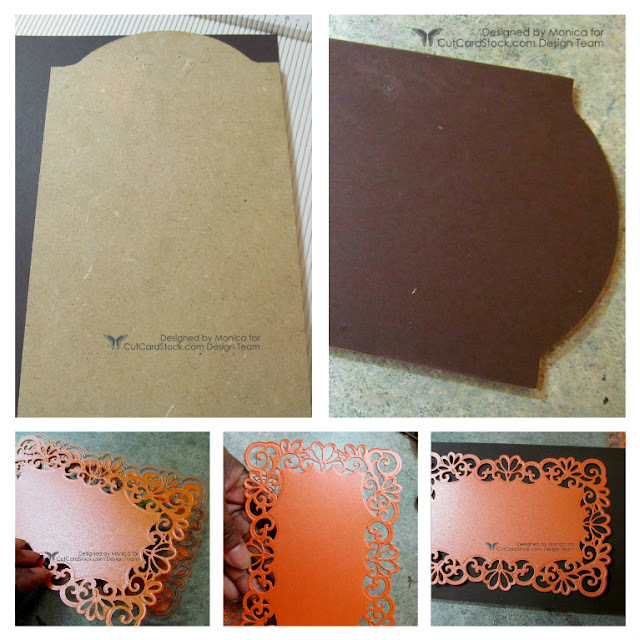 To purchase the papers I used on my post for today visit the CutCardStock store here.